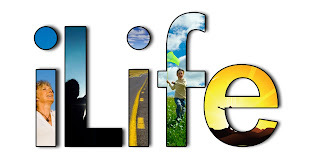 This week I am concluding the sermon series that I have been working for the past few weeks, entitled "iLife: living the life you were meant to live." My sermon is entitled "iWin." When I was a sophomore in high school my basketball team went to the state championship. We lost by three points. I don't remember much about the game, to be honest. I do remember the game that we won in order to get into the championship, though. THAT was a great game. We were playing a team that had just shellacked us earlier in the season. Their three point shooting just destroyed us, and we couldn't score. I remember walking into the locker room after the game and I was so angry about the loss that I put my fist through a door. It was a low moment, I admit. In my defense, the door was fairly cheap, and gave way far too easily. Besides, I hurt my hand. But the principal from the school we were visiting was fairly irate when he saw it. I ended up paying for the door, and writing a letter of apology. So when that same team came to our house to play a semi-final game to determine which of us would move to the championship... I REALLY wanted to beat them. I won't go through a play by play of the game. But there was one moment toward the end when things were close. I got loose on a fast break after a rebound. One of my teammates, a guy named David Thompson, threw the ball baseball style down the court. That ball hung in the air forever it seemed. I caught it, dribbled like I was being chased by the devil and went up for a layup with authority. When the ball went into the basket, it put the game virtually out of reach for the other team. The fans were on their feet, and the place roared. And then I saw my dad, virtually on the court with his arms raised and a huge dad grin on his face. My dad and I struggled when I was a teenager. I often said and did things that my dad didn't approve of all too much, and I was fairly sure he didn't like me a whole lot sometimes. So when I looked up and saw him cheering like that... it was a pretty big deal. I just didn't know it then. You see, in that moment I was just glad that we had won, and beat down the team who made me pay for their balsa wood door with money I had earned by the sweat of my brow mowing lawns. Booyakisha!! Clearly I bought into our culture's view of success. You know the view that states, "Winning isn't everything, it's the only thing." Where do we first learn the importance of winning? My kids learned on soccer field when they were very little. Even though they were part of the soccer leagues where no one keeps score... the kids still kept score. And when they all got the same trophy at the end of the season, the kids on the team that won most of their games all knew that they deserved a bigger one. But everybody's a winner, yay! It's sort of like we are all winking at each other when we try to downplay the importance of finishing first---because we all know that the only thing our culture really values is finishing first. So what do Christians have to say about all of this? Not much that's different, to be honest. Let's take a very famous passage of Scripture from the book of Joshua. Many Christians read this passage of Scripture and they hear two things: "be strong and courageous," and "then you will be prosperous and successful." 1. "If I do whatever God wants, I'll have a successful life." 2. "If I live a holy life, I'll have success." What's the problem with this approach? Well, for starters it misses the point of the charge to Joshua by God, and completely sidesteps God's promise not to leave or forsake him. But more importantly it doesn't define "success." It assumes that "success" is as it is defined by our culture: winning. But God's view of success is somewhat different, as you might expect. In this passage, it's the very acts of obedience and holiness that are defined as success. Attaining success as our culture defines it is not success. Or you can say it like this: If you want to be successful, you have to give up your desire for success. In Mark 9:33-37 Jesus confronts his disciples who had been having an argument about who would be "first" when Jesus' brought about his kingdom. He had been talking to them about what had to happen to him---that he must die. Just like many of us who read Joshua through our success lens, the disciples didn't get it. They didn't want to hear him, really. The life that he was calling them to lead, a life of self-denial and then resurrection was too hard, too uneasy, too uncertain to embrace. The disciples were still focused on an idea of "success" that was out of step with what Jesus had in mind. See in the NORMAL ORDER OF THINGS. the poor and the needy serve the rich and the powerful. Those without standing depend on those with standing. And the Cubs never win the World Series. Jesus didn't really care for the NORMAL ORDER OF THINGS, which is really good for all us. And for Cubs fans. Jesus brought a "little child" into the conversation. I kind of imagine that he just sort of took the child on his lap as he told the disciples that if they wanted to find "success" in the eyes of God they needed to re-orient the way they viewed it. In the normal order of things, a child was on the bottom of society with no legal standing, no power, nothing to offer, you name it. Jesus equated receiving a little child with receiving himself. First, it means that there is a difference between how our culture values people and the way that God values people. This may sound very simplistic, but it's a point that we miss literally all the time. When we begin to fully understand that God doesn't value us for what we have to offer or bring to the table in our relationship with Him, it changes everything. Third, we need to learn that a life of self-denial and resurrection is the only way to truly "prosper." This is the most difficult part of what Jesus asks of us. At it's essence this looks like us giving up what we most "want" in order to receive what we truly desire. The impulse for selfish living is so strong in each of us that we often blind ourselves to the unbelievable ways that God would resurrect what we believe to be dead, lost, gone, damaged, broken and wounded. Here's a sound bite: It begins by doing what God wants you to do, and being where God wants you to be. So if you want to go back to our Joshua misinterpretation it's not just about keeping the rules or being holy. It's about keeping the rules AND being holy AND giving up your desire to do anything else but THAT. And all of this requires trust and hope. Because when we begin to live this brave new way, our culture might see that as "losing." Heck, we might even see it as losing. Heck, we might even lose. "Do I serve a God who is in the resurrection business... or not." Because if you do, some stuff is about to get resurrected. When I am an old man, I will tell my grandchildren the tale of that basketball game from yesteryear---the story of my "big win." I will tell them how their old granddad was a moron and punched a hole in the door and had to pay for it with lawn mowing money. I will tell them of the pass that hung in the air forever and of the way it felt when I shot that shot and watched it roll in, sealing the victory for my team. And then I will tell them what really matters. I will tell them how I looked up and saw my father cheering on the sidelines. Cheering so hard for his son, who he loved more than anything, that he was virtually on the court screaming. Because winning the game wasn't the point. That memory was. And I will have that forever. Because in the end it's not about winning or success the way our culture defines it. In the end, If you want to be successful, you have to give up your desire for success.